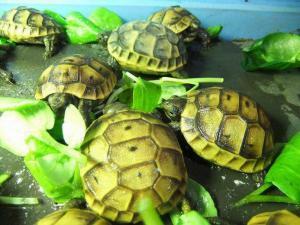 Greek tortoises for sale online. 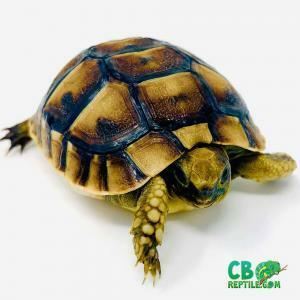 Buy captive bred baby greek tortoise for sale from CBReptile.com! Greek tortoises are some of the more popular of the testudo tortoise family. 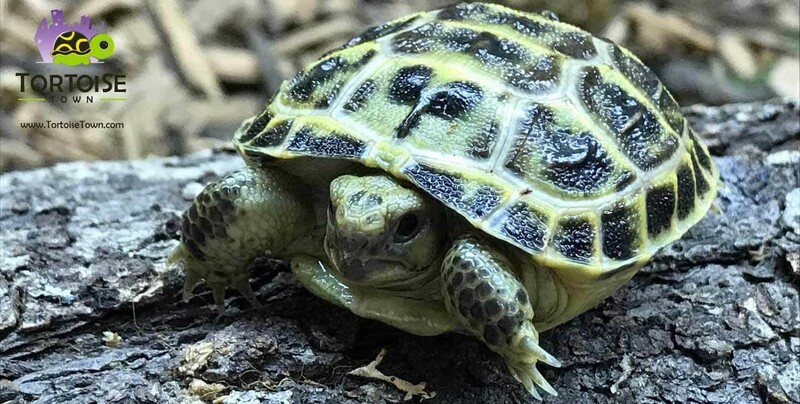 The Eastern and Western Hermann’s tortoise make better companion tortoises in our opinion but the greek tortoise for sale remains one of the more popular tortoises for sale none the less. The Greek tortoise for sale is also known as the spur-thighed tortoise for the large conical tubercle it has on each thigh. Several subspecies are recognized, which vary greatly in color and size. Greeks are medium sized tortoises are fit right into that category perfectly. 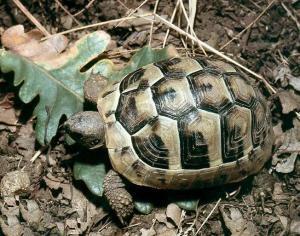 Greek tortoises are widespread across Europe, and there are quite a few subspecies. Most popular, the Ibera greek tortoise is also probably our favorite. 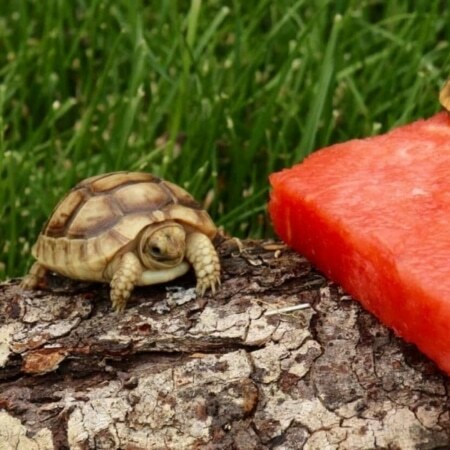 An Ibera greek tortoise will reach sizes of 7-11″ and are hardy, easy to care for species. Baby Ibera greek tortoises resemble Hermann’s tortoise for sale closely and are often confused with baby Hermann’s tortoise at a young age. Ibera greek males remain smaller than females, with female Ibera reaching the 11″ mark at full maturity. The Golden Greek tortoise is also a popular subspecies of greek tortoise. The Golden Greek is a tad blander in appearance, basically a tan-to-brown coloration of the shell at maturity with a few small black “dots” on the center of the scutes. A Golden Greek tortoise for sale will stay a tad smaller and get anywhere from 7-10″ with females growing larger than males. Male golden Greek tortoises can be a bit territorial and should not be housed with other males. Keeping various female greek tortoises together is fine as they seem to get along well sharing a captive habitat. The high, domed upper shell (carapace) is around 20 cm in length in T. g. graeca known as the more common greek tortoise for sale, but almost twice as large in T. g. ibera. 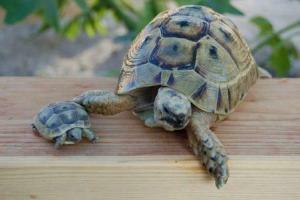 also known as the ibera greek tortoise for sale. The carapace varies from yellow or tan with black or dark-brown blotching to totally grey or black, while the lower shell (plastron) may be yellow to greenish-yellow, brown, or grey, with some dark-brown or black markings. Neck, limbs, and tail are yellowish brown. 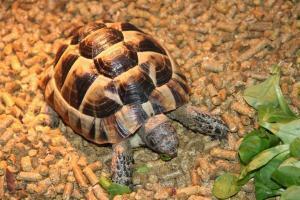 Buy Captive bred baby Greek tortoise for sale online only! 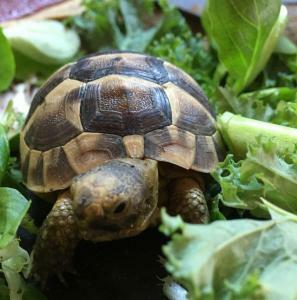 Before purchasing a greek tortoise for sale or a pair of greek tortoises for sale, be sure that you are purchasing from a captive bred greek tortoise breeder, who is only selling 100% captive bred baby greek tortoises for sale as well as juvenile and adult greek tortoises for sale. All of our baby greek tortoises for sale, as well as all of our other tortoise for sale from CBReptile.com, come with our LIVE Arrival and full 7-day health guarantee!